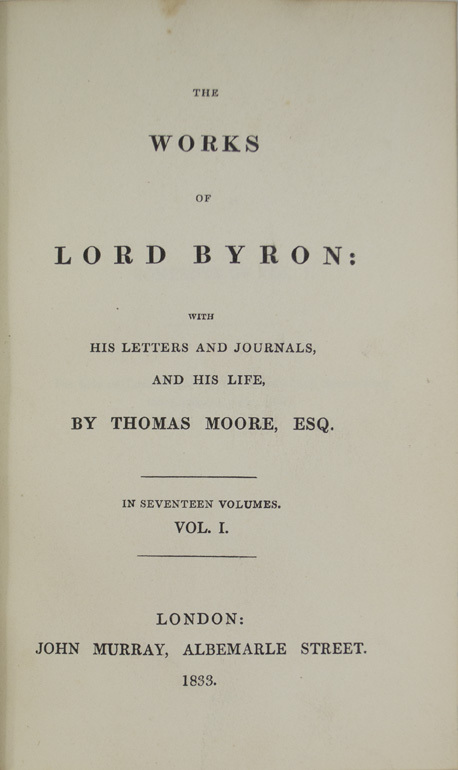 BYRON, George Gordon, Lord. FORE-EDGE PAINTING. 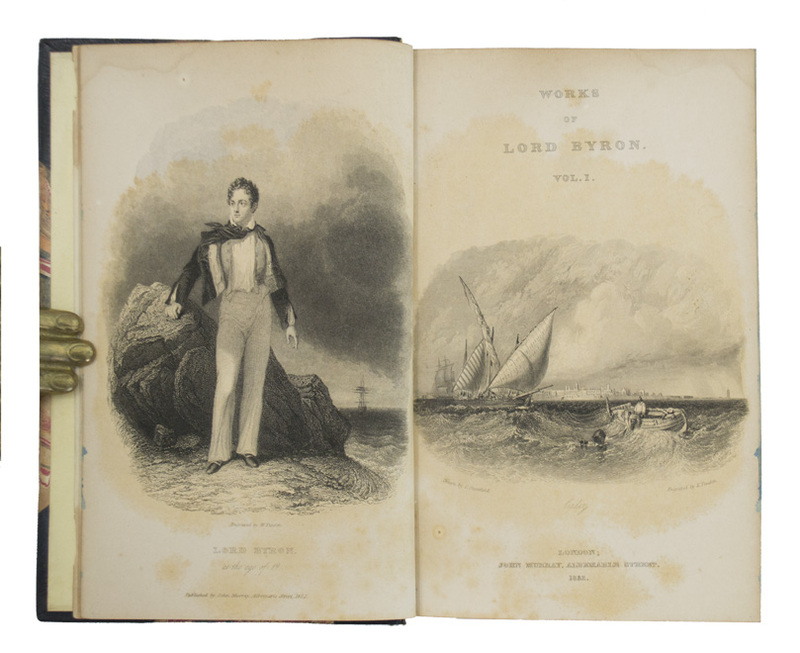 Works of Lord Byron. With His Letters and Journals, and His Life, by Thomas Moore, Esq. London: John Murray , 1833. Seventeen small octavo volumes (6 3/8 x 4 1/8 inches; 163 x 104 mm). Engraved frontispieces and vignette titles. Half navy blue morocco over marbled boards. Spines lettered and stamped in gilt. All edges gilt. Some minor rubbing to bindings. Overall a very good set. 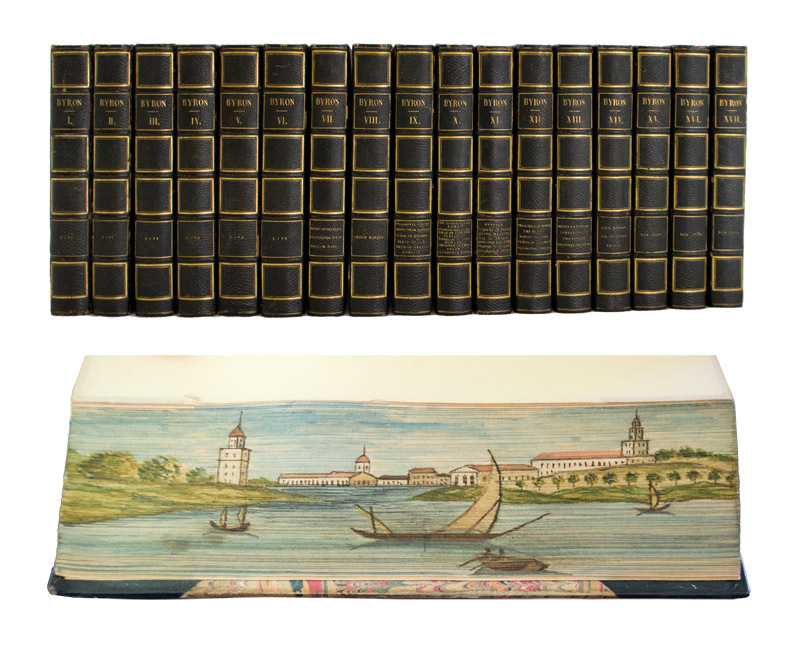 Fore-edge paintings on each volume which depict various British pastoral, shipping and architectural scenes.